Uber Driving - Why it's not Worth it! I'm probably one of the final holdouts to try Uber, but I bit the bullet and signed up to be a passenger on my recent vacation to the East Coast (Boston, New York, Washington DC). Signup was easy. I downloaded the Uber app, filled out my information, and in about 10 minutes was ready to be an Uber passenger. My first free ride was a good way for me to figure out how to use Uber. It wasn't until I reviewed my Uber fare that that I began to question how Uber drivers make a living? Comparing Uber with a Taxi just isn't fair. Uber is so much more affordable. Even though my it was a short trip, at only 0.88 miles, the entire fare costed the minimum $5.35 (of which $1.17 went to meeting the minimum fare). For 2 passengers, that's almost cheaper than taking Washington DC's Metro System. It's definitely faster, since Uber offers door-to-door service. But the million dollar question, How is Uber Driving Worth It? Some articles say the Uber driver pay is less than minimum wage! Upon returning home from vacation, I decided to do some research. There were some very good videos on YouTube that went in details to break down the many hidden fees that many Uber driver's don't realize until it's too late (think tax season or when your car breaks down). Most Uber driver's are aware of the obvious fees that Uber takes and other charges such as gas. But what many Uber drivers fail to remember is car depretiation, car maintenance (such as brakes and tires), car insurance, and taxes. 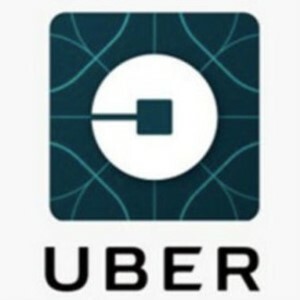 Since Uber drivers are not Uber employee, they are essentially contractors who a responsibile to pay their taxes, provided their own healthcare, and maintain their own vehicles. Though this is similar to the taxi industry, full time taxi drivers are more intune with the rules than are most of the part time Uber drivers. The video below goes into the detailed math of how Uber driving isn't worth it. Note that it doesn't not take into account Surge Pricing and other incentives offered by Uber. The next video is more of a driver's story of what he wish he knew before he started driving for Uber. This goes to show how little Uber driver's understand when they begin driving. My gut instinct tells me most Uber drivers were convinced soley by the dream of making tons of money. This last video is by a Uber driver so upset he started his own website to try and rally other drivers behind his cause: http://www.uberx-drivers-united.org/. Don't Get scrUBERed! As a Uber passenger, I love it! Low fares combined with a very easy to use interface to call up a ride. However, I do think something should be done to better educate drivers before they begin driving for Uber. In writing this, I'm curious how many months the average Uber driver stays onboard until they quit? Lucky for Uber, even if a driver quits, there are many more drivers waiting to fill the void. And once driverless cars make their way onto the road, Uber drivers will be taken out of the equation. Until that time, I don't see how it's worth being an Uber driver, but I'll be a happy Uber passenger.